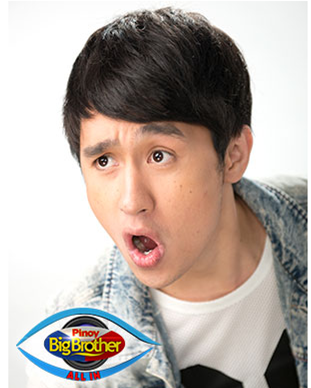 Manila, Philippines - Fifth Pagotan dubbed as the 'Brad Kulit Ng Pasay' has just been evicted from the Pinoy Big Brother house during the live 10th eviction night of 'PBB All In' on Saturday, August 2, 2014. Fifth is among the nominated housemates who got the lowest percentage of votes from home viewers, 16.53%. "Maging totoo sa sarili at sa mga taong nasa paligid mo," Fifth said to Big Brother when he was asked about the most important lesson he has learned inside the yellow house. The 'Rising Celebriteen ng Quezon City' Jane Oineza, 'Tatay's Boy ng Batangas' Joshua Garcia and 'Wonder Son ng Quezon City' Manolo Pedrosa were saved from eviction as they got 42.11%, 23.80% and 17.56% of votes respectively. The nominated housemates Fifth, Jane and Joshua received nomination through the nominate-to-save process as they were voted by none. In the new nomination process, all housemates were automatically nominated. However, they can save others by nominating them for immunity or not to vote any at all. Manolo was added in the list as Fifth who saved him failed on the challenge. On Saturday episode, PBB also aired moments when actor Jason Abalos entered the Big Brother house to meet his girlfriend Vickie Rushton. Jason arrived carrying a bouquet of flowers. One hour was given to them as Vickie won the memory game. A trailer was also released for the back-to-back evictions to be happened starting Sunday, August 3 until Tuesday next week. As the most awaited Big Night is approaching, PBB needs to trim down the number of remaining housemates from 7 to 4 in just few days. The 10th eviction night of PBB once again dominated online conversations with '#PBB10thEvictionNight', 'Daily Eviction', 'Jason and Vickie', 'Why Fifth' and '#SaveJane' topped Twitter trending list.